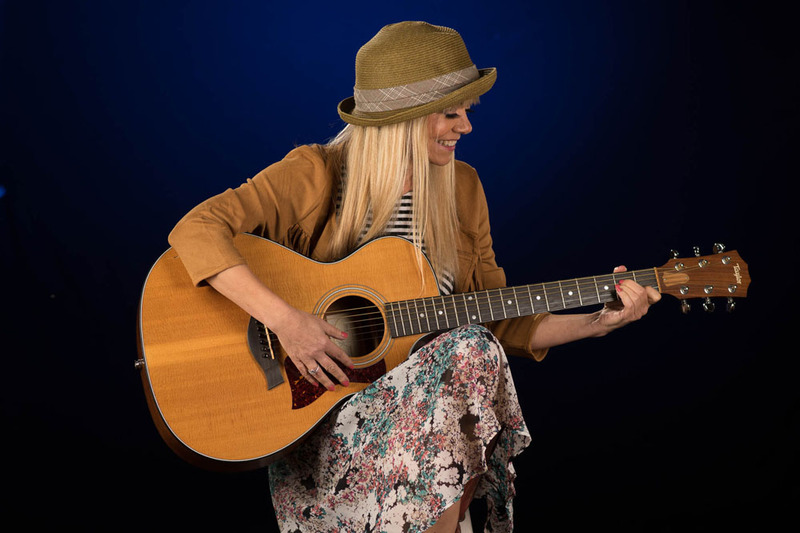 My guest for Live Your Music this week was Ilani Kopiecki. To hear the podcast recording of this week's show, with Ilani Kopiecki as my guest, please click here. Ilani Kopiecki, CMT & CST, is an advanced level CranioSacral Therapist and California Certified Therapeutic Massage Practitioner. 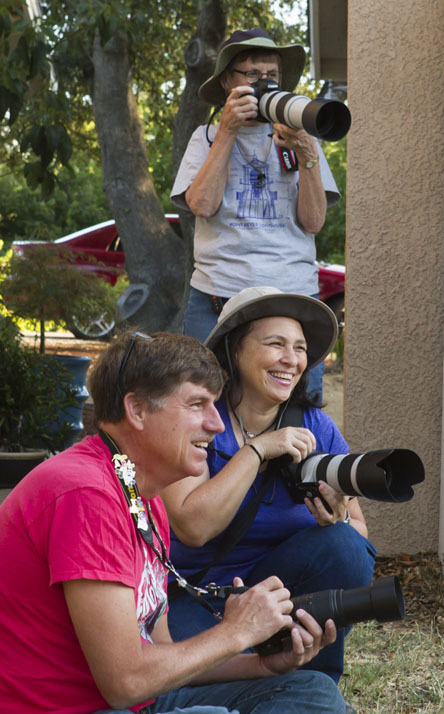 She has been in practice for sixteen years, and maintains her office in Novato, California. 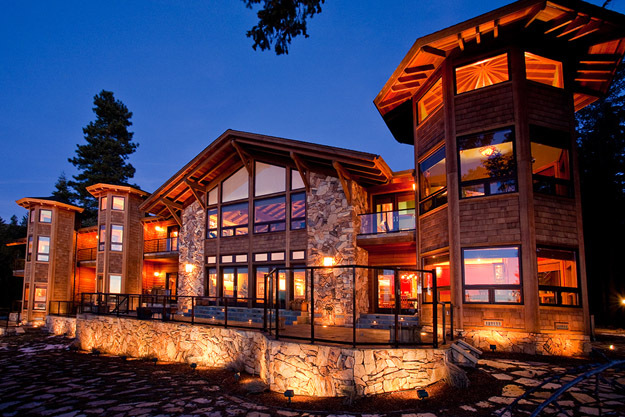 Her greatest reward is to help her clients become pain free, and regain their zest for life. 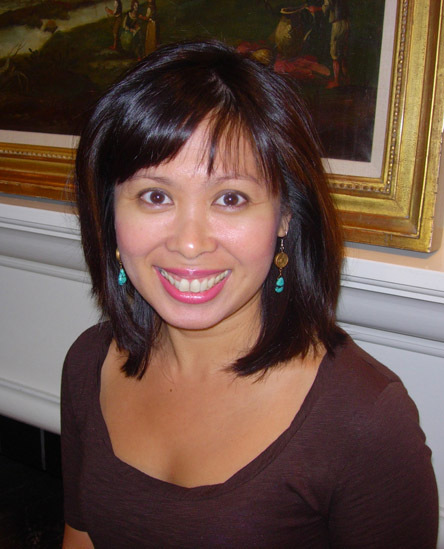 Ilani received her therapeutic massage certification in 2000 from the Institute for Conscious Bodywork in San Anselmo, California. 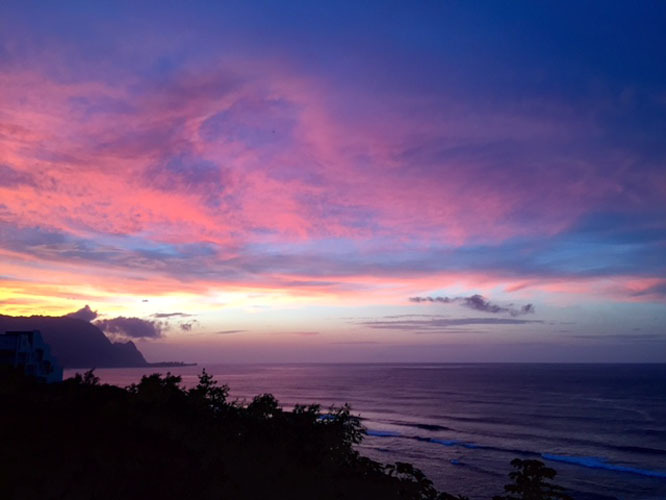 She also has completed advanced certification for both adults and pediatrics in CranioSacral Therapy from the Upledger Institute in Palm Beach, Florida. 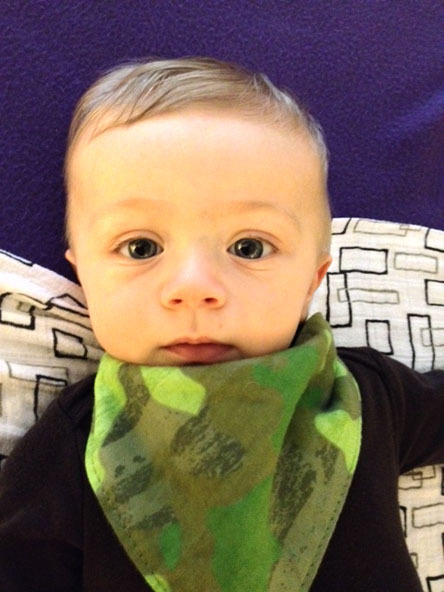 Ilani welcomes clients of all ages; including infants, children, teenagers and adults. As you can see from the photos above, she uses a soft touch to do her work on clients of all ages. Today Ilani and I talked about how she is living her music with her work as a CranioSacral Therapist. Ilani shared stories about her work and I especially loved the one about Vince, the baby in the before and after pictures above. I had been curious about CranioSacral Therapy because I've heard of it through Hay House events. 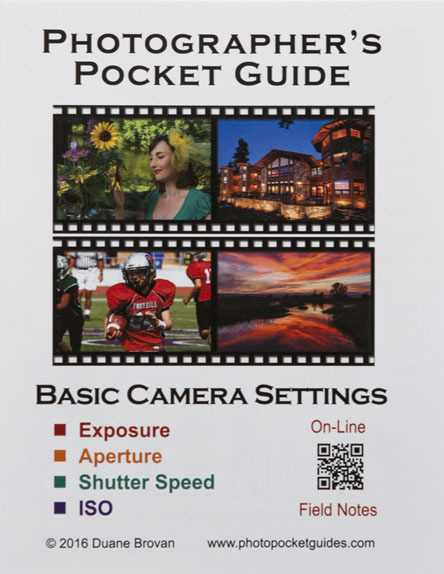 I was happy to hear Ilani explain what it is and how she uses it to help her clients. As Ilani explained during the show, a CranioSacral practitioner is trained to read the cranial rhythm of the body. It is separate and distinct from the breath rate and heart beat. By putting hands on gently, the practitioner can feel this rhythm anywhere in the body. In particular, the therapist is looking for a lack of this rhythm, and by treating those areas he/she can treat the source of a wide range of physical problems, rather the just the symptoms. If you are curious to learn more about CranioSacral Therapy — to find out if it could be helpful for you or someone you know — I highly recommend you listen to this show! I enjoyed talking with Ilani on my show today! Please listen to the show and share the replay link with your friends! My guest for Live Your Music this week was Michelle Gordon. 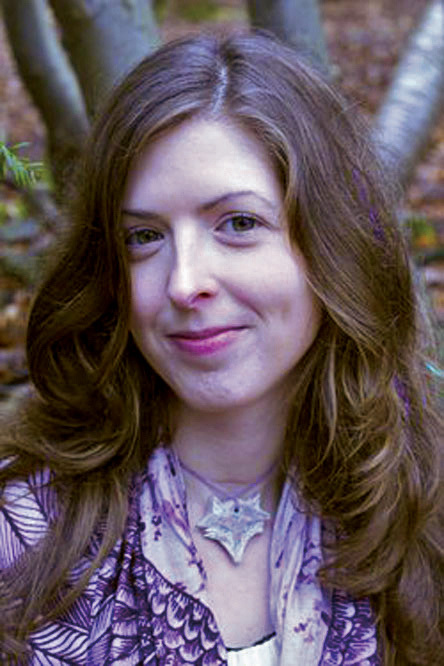 Michelle is the author of The Earth Angel Academy and is also the author of a series of Earth Angel books and a collection called the Visionary series. 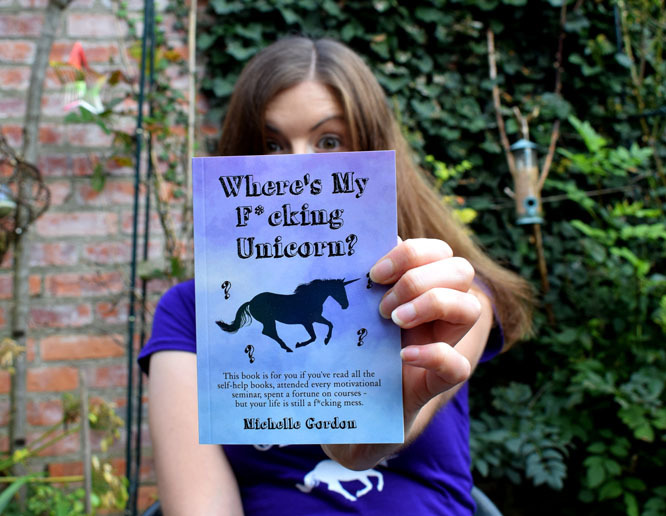 To hear the podcast recording of this week's show, with Michelle Gordon as my guest, please click here. 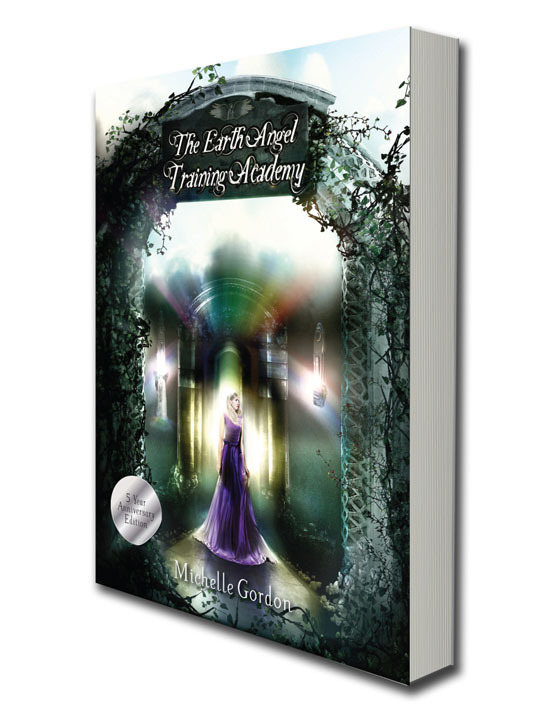 Five years ago, Michelle published her first novel in the Earth Angel series – The Earth Angel Training Academy. There are now six books in that series, and she has four individual novels in the Visionary Collection. 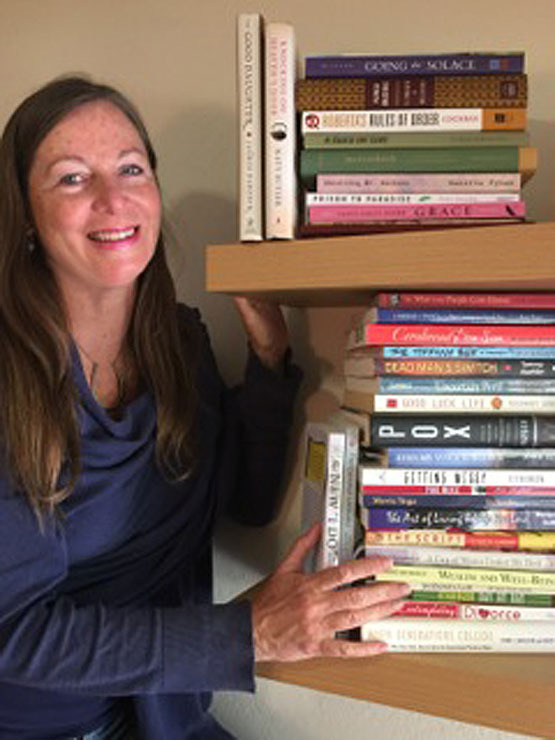 Michelle is an independent author, and has readers all over the world, many of whom have experienced positive shifts as a result of reading her books. 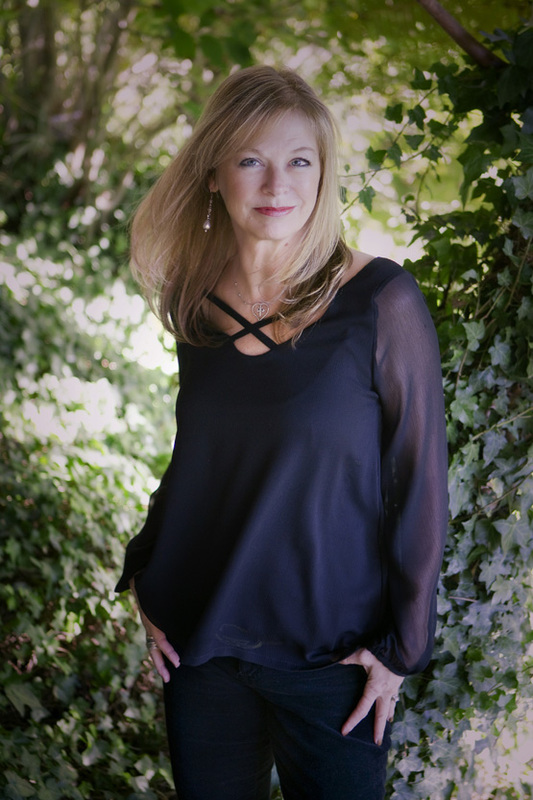 She has many more books planned for the future, including a further seven books in the Earth Angel series and a brand new young adults trilogy. 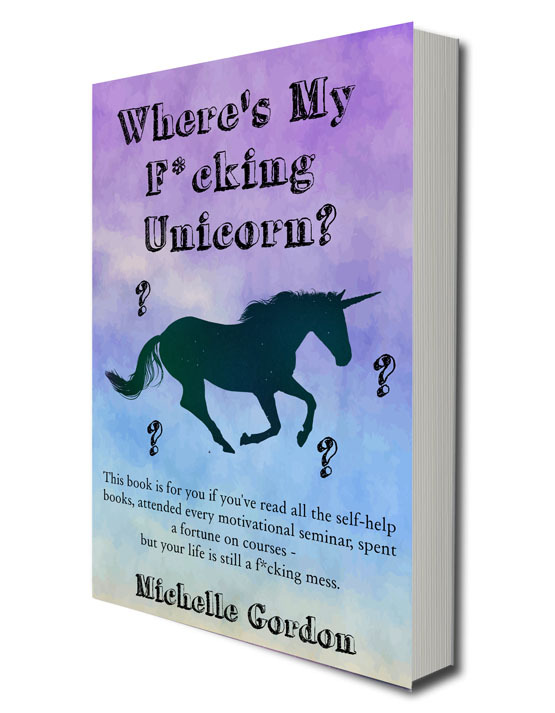 When not writing, Michelle enjoys running her business, which helps other independent authors to publish their books, and doing oracle and tarot readings. Michelle is very creative, and usually has a craft project or two on the go! She regularly writes her blog and does oracle card readings on her YouTube channel. Today Michelle and I talked about why she wished to be a writer, the impact Doreen Virtue and Neale Donald Walsch have had on her writing, as well as the five year anniversary edition of her book The Earth Angel Training Academy which was the start of her two series of books. Michelle Gordon is a great example of what can happen when you listen to your heart and feel inspired to live your music! 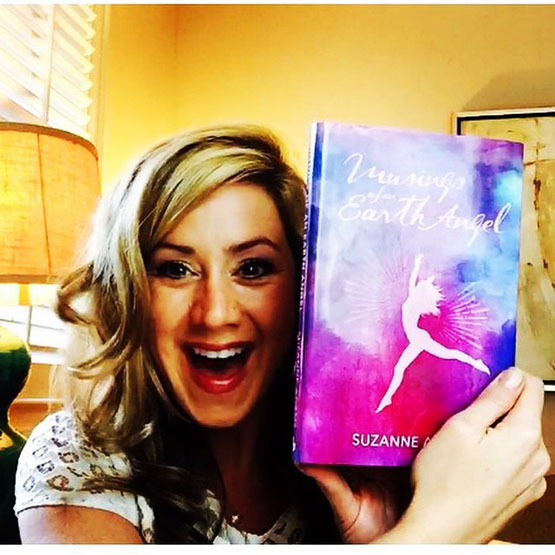 I began reading her book The Earth Angel Training Academy to prepare for the show and I am enjoying it very much – in fact I am super curious what's going to happen and am looking forward to reading the rest of it. 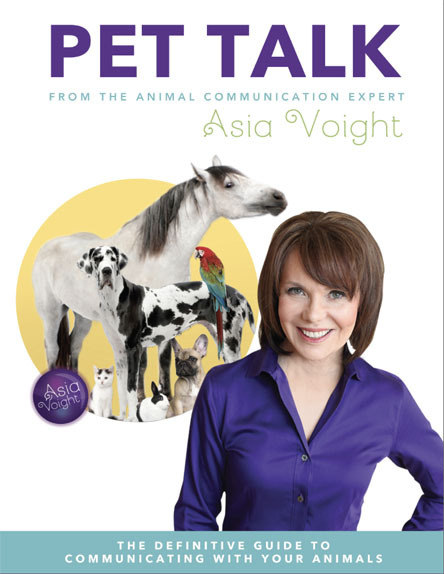 It was fun talking with Michelle Gordon on my show today! 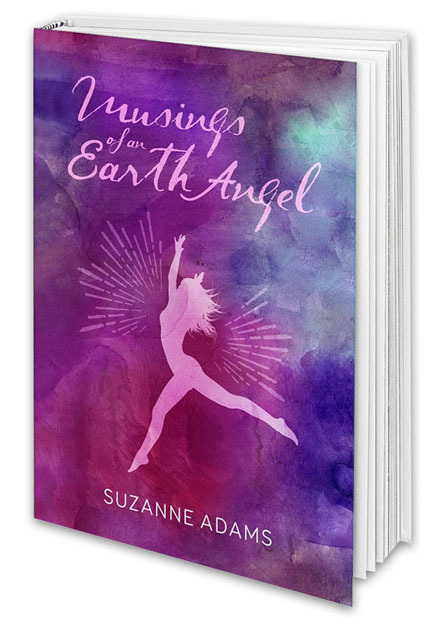 If you're interested in Earth Angels – or are just curious about them, I recommend you get a copy of her book. You can get the five year anniversary edition of the book on Amazon by clicking on this direct link: The Earth Angel Training Academy. 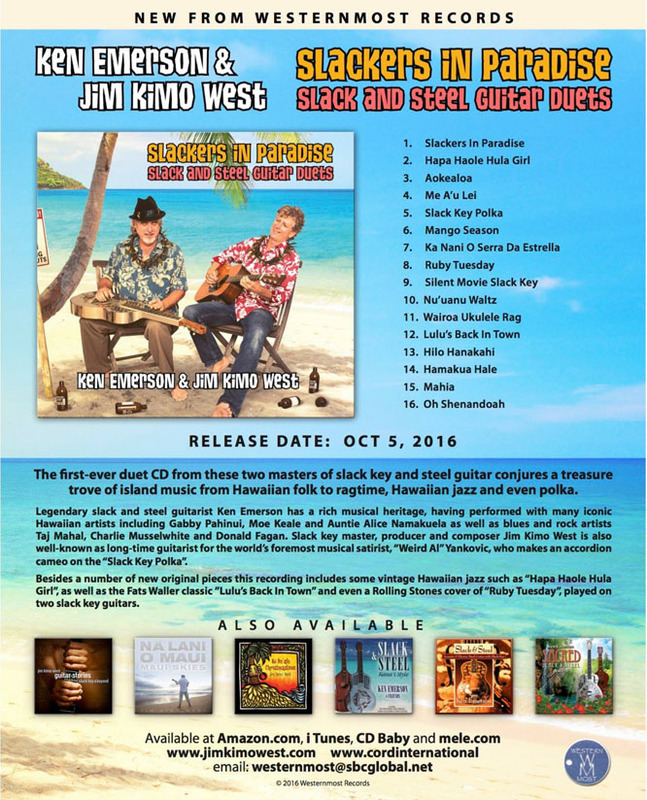 Music Dreams – 50 Years Ago – Now!!! This summer it will be 50 years since I picked up the belief that I "should" stop singing. I am so thankful that our son Zander inspired me to sing with him in 1993. I am also thankful that my husband has been encouraging me to sing with him. What I have learned is that we are never too old to listen to our Heart and allow it to guide us! Music gives me joy. All of my life I've loved music. How do you feel about music? Does it add joy to your life? As you can see in the photo of my husband and I love to sing! When I was eleven years old I got my first Beatles and Beach Boys albums. I loved to sing with my favorite records in my room. 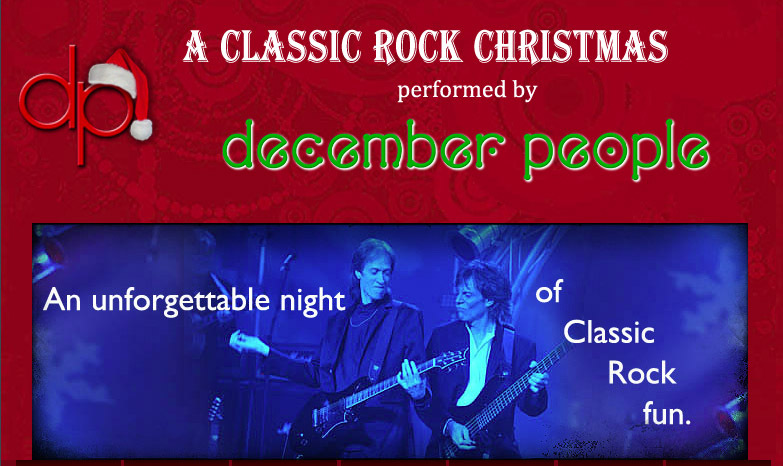 (Especially songs by the Beatles, Beach Boys, Kinks, Yardbirds, Turtles, and Herman's Hermits.) I remember singing while riding my horse and I also enjoyed singing for my family. I began to dream of being a singer! Then, one summer, 50 years ago, after staying with my grandparents for a month at their home in Los Gatos, I overheard my grandmother telling my mom that I "should" forget about singing. My grandmother sounded so sure I "should" give up singing that I gave up even trying to sing. I believed that she thought I had a "bad" voice. Looking back on the situation I realize that my grandmother wanted two things — she wanted me to be an artist and paint oil paintings and she wanted to keep me away from the Rock 'n Roll music I loved to hear and to sing. During college I worked part-time in record stores because I loved music — even though I majored in art as grandma wanted me to do at the time. While working in the record store I met three members of a rock 'n roll band called HUSH. One of them, Robert Berry, became one of the most treasured friends I've ever had in my life. I loved to go watch and listen as he worked at a recording studio. I also loved to watch his band play. My joy came from listening to music and from watching my friends and other people who were living their music! My husband, Dudley, has always loved music — it's his passion. (You can see his passion for music in the photos in this message.) 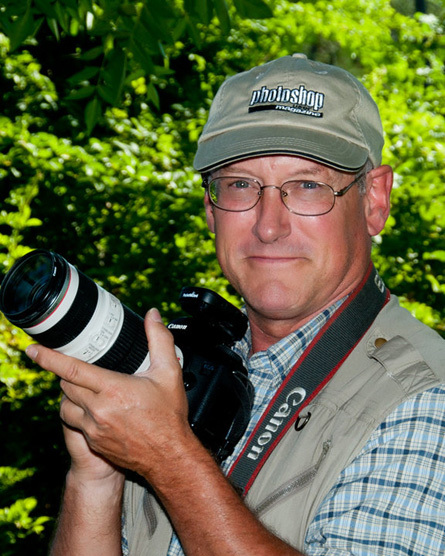 Before I met him, Dudley started his own business, DeNador Design & Photography. I've enjoyed working with Dudley in his graphic design business for many years. When I first met Dudley I was thankful that he was only doing music as a hobby because I knew the time and travel it takes to be on the road and perform in a rock 'n roll band! 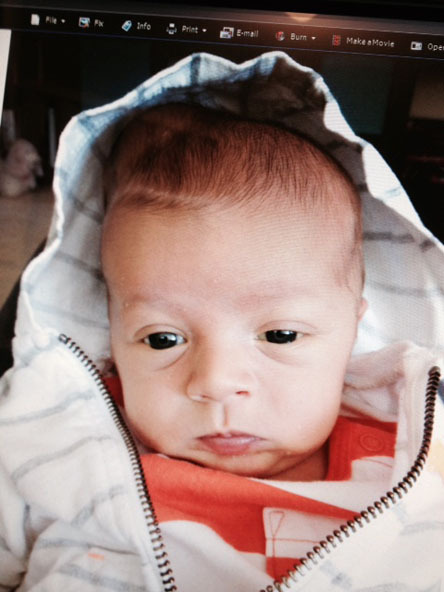 When our son, Zander, was about three years old, I started to sing again — with him when we were alone in my car. We used to sing songs from the Disney movies "Aladdin" and "Lion King" and also the songs from the movie "The Little Mermaid" while driving around doing errands. After lots of practicing with Zander I got brave enough to sing with Zander when we were with Dudley — going on trips in our car. I was amazed when Dudley told me that I did a good job singing Jasmine's part in "A Whole New World" with Zander singing Aladdin's part of the song. It was FUN being able to sing with my boys in the car!!! In 2003, ten years after I began to allow myself to enjoy singing again — we attended a family reunion, at my mom's home, in Shasta County. I was thrilled that Dudley and Zander helped me learn to sing the song "Perfect Day" by Hoku for the event. I learned that it takes lots of practice to sing — to remember the words, the way the music goes, and it was fun practicing singing while driving my car. 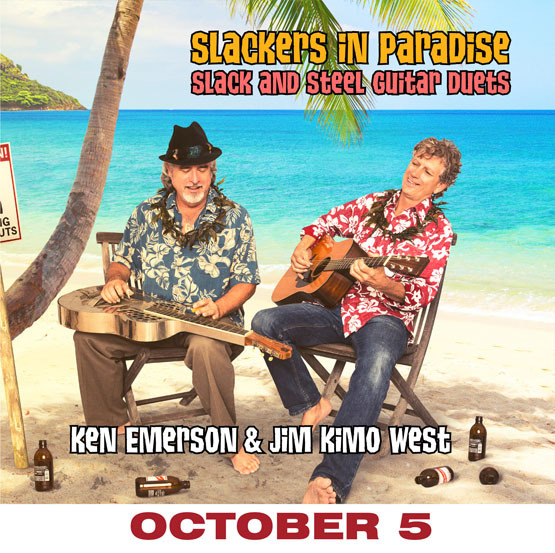 Then, for awhile, I went back to listening and watching as Dudley and Zander wrote their songs and had them recorded. It was exciting to watch and listen as their song ideas became reality! 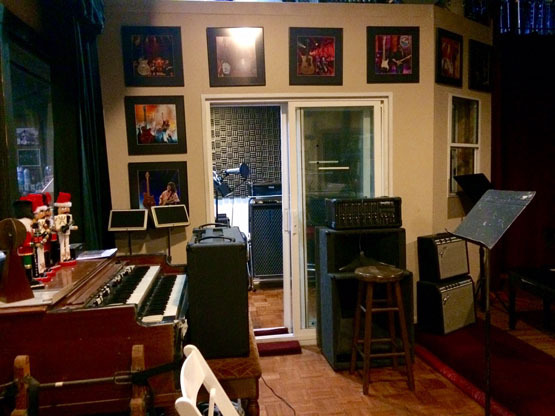 Robert Berry, who is now a treasured friend to all three of us, has a recording studio in Campbell, California. 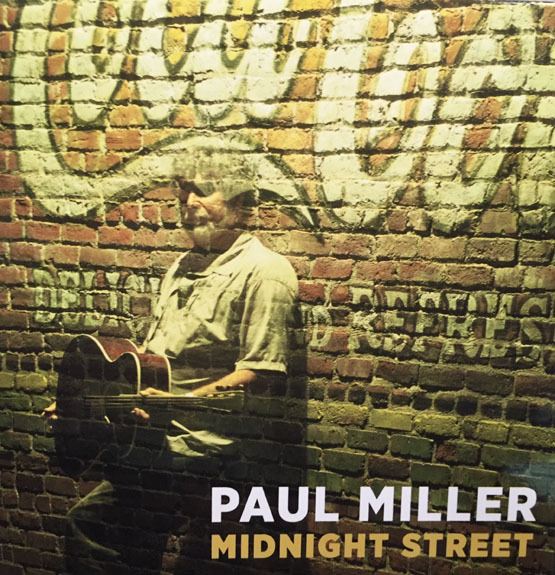 He recorded Dudley and Zander's songs. 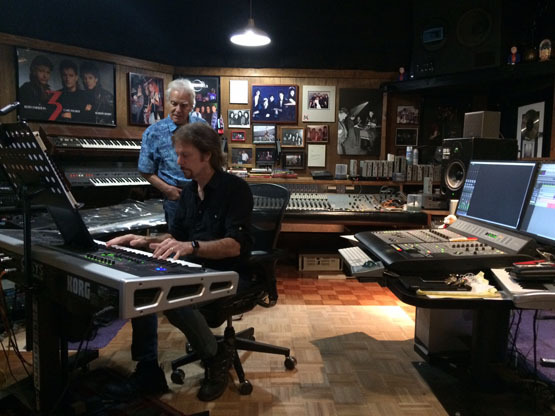 Robert is a very talented musician and he added keyboards, bass guitar, drums, and backup vocals to the tracks with Dudley and Zander playing their guitars and singing. Going to Robert’s recording studio to watch, to listen, and every once in awhile make a suggestion for lyrics — words that might work better — makes me feel fully alive and full of joy. I love being part of it all — even in tiny ways. I asked Dudley to write a song called "Holiday on Earth" as a tribute to Earl Nightingale and he created a wonderful song we love to hear. 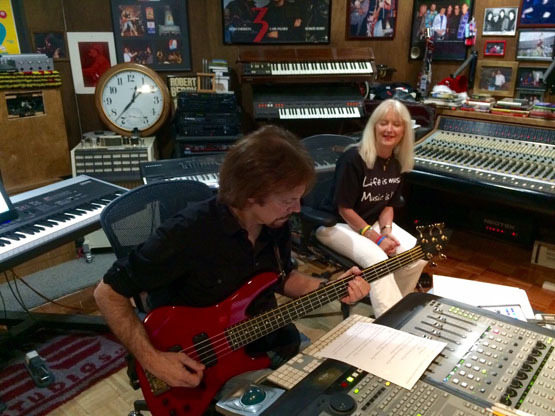 I've been writing lyrics for songs to go with my book, The Art of Living a Life You Love. The first one is called "Imagine" and we've recorded it as a single. We're planning to record "Believe" this year. There are more songs we've been working on and I am so excited to have them all recorded so you can hear them and let them uplift you, inspire you, and remind you to live your music. Dudley and Zander have two albums of original songs. 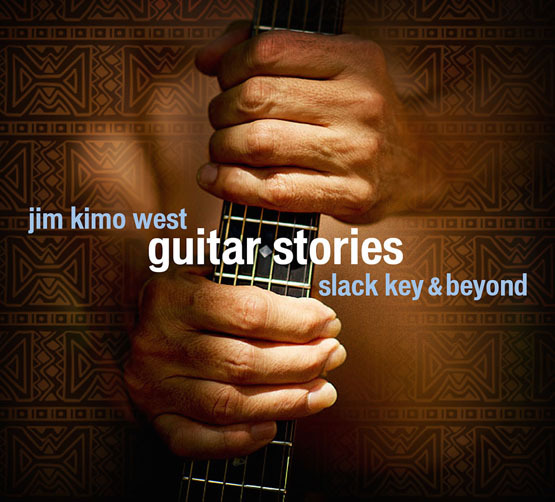 Both albums — and the single of our song "Imagine" — were recorded at SoundTek Studios. 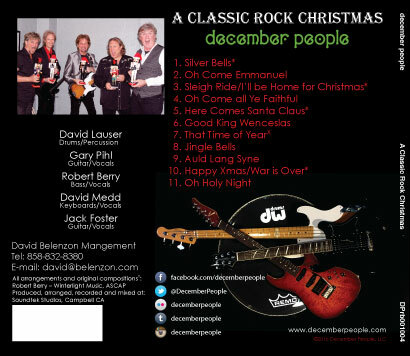 If you are curious, click on this link to hear The DeNadors on CD Baby. You can also hear all of the songs on both albums plus the single of our song "Imagine" on Spotify. Just do a search for The DeNadors on Spotify and/or CD Baby and you'll find us. 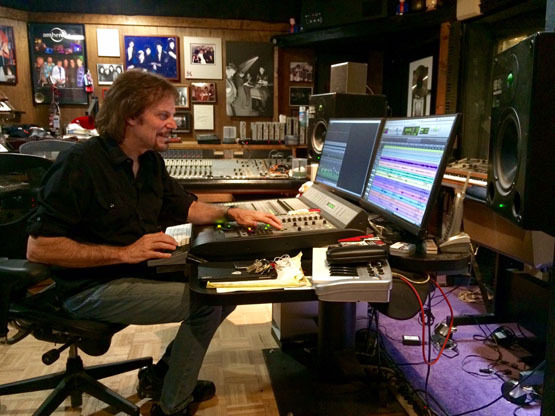 Robert Berry helps make music dreams come true. 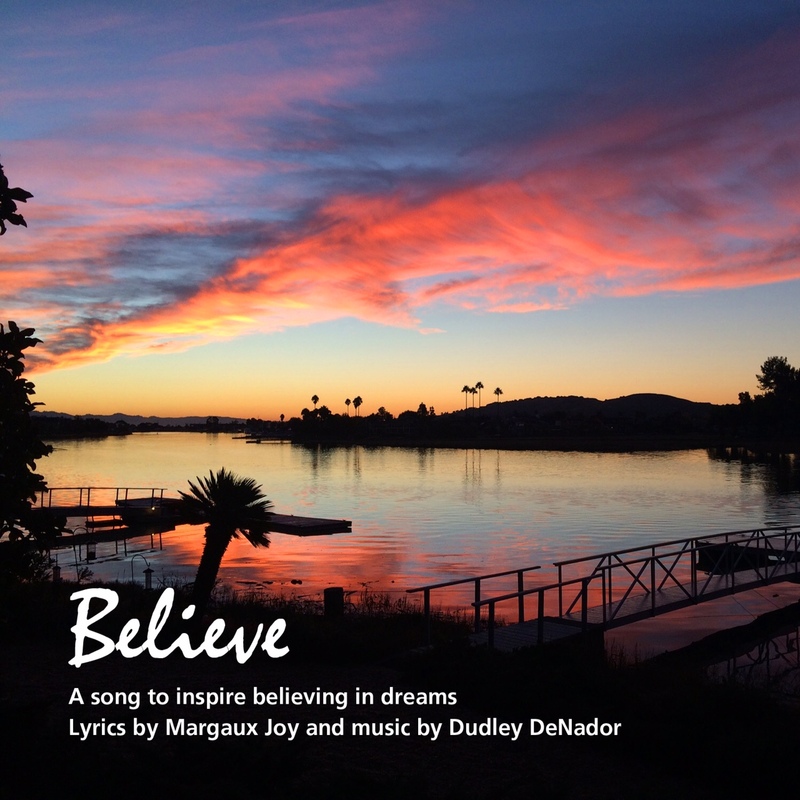 He has helped Dudley, Zander, and me — and many, many others — turn their music dreams into reality. 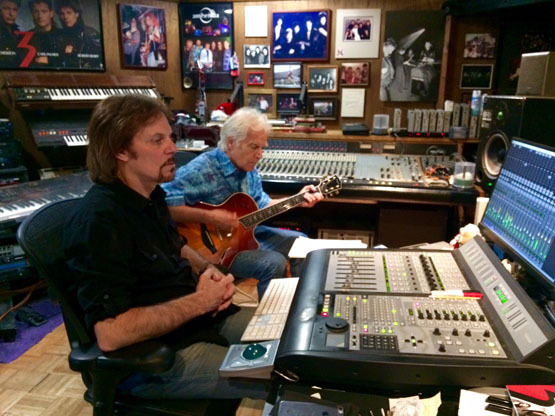 I would like to say a big THANK YOU to our treasured friend, Robert Berry, for all he did to make these albums sound so great. Robert is a very talented musician and singer. To find out more about Robert and his music please visit his website at www.RobertBerry.com. 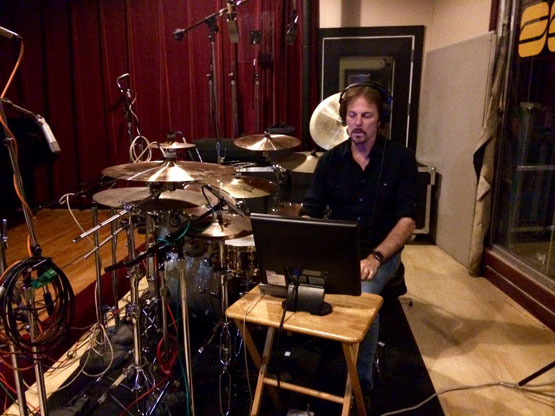 On his website you will also find a link to his recording studio, SoundTek Studios. Do you dream of making music? What do you dream of doing? What would you like to create? 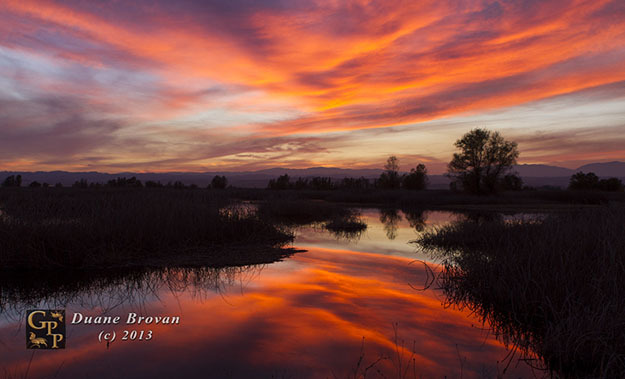 What do you feel inspired to share? What are your true Heart's Desires? On my blog talk radio show Live Your Music I interview people who are living their music. You can hear all of the episodes of my show by clicking on the link. Your "music" might be music and it can be whatever you feel you are meant to do. For example, my "music" includes being a Mom, hosting my Live Your Music radio show, being a Creative Life Coach, writing my book, and writing lyrics for songs and singing for the joy it give me and to inspire others to do what they feel called to do. Do you feel you're meant to be a parent? A doctor? An author? A speaker? An actor? A dancer? A visual artist? A teacher? What gives you joy? What do you love to do? What I know for sure is that every person on the planet has "music" they are here to play. It's why I host my radio show, it's why I became a Creative Life Coach, and it's why I wrote my book The Art of Living a Life You Love. I am also thankful that Zander and Dudley and my friend Robert have encouraged me to keep singing. 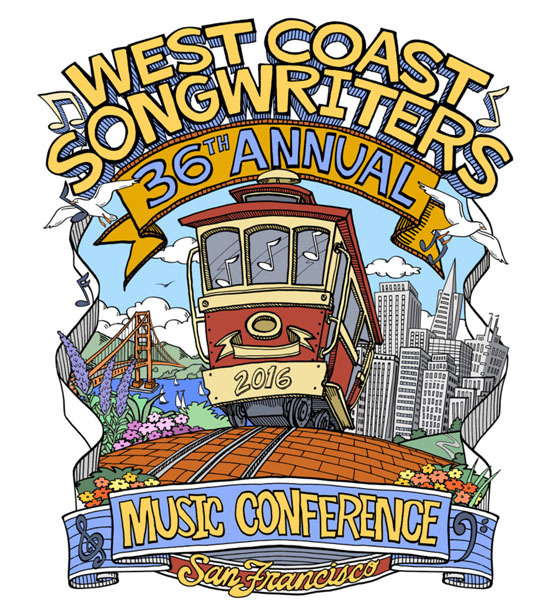 Now Dudley and I are co-managers for West Coast Songwriters in San Rafael, California. We are having so much fun performing together. Each time I get a bit closer to believing in my dream of writing lyrics for songs and singing on stage with my husband, son, and our friends. We all need to do what gives us joy. We all need to create whatever we feel inspired to create. It helps us love our life and enjoy our "Holiday on Earth." Whether your "music" is actually music or something else you feel inspired to do or create — do it. We must each allow our “music” to flow freely from us while we are alive! Please, everyone who is reading this message — Live Your Music!!! My guest for Live Your Music this week was Brett Boyd. 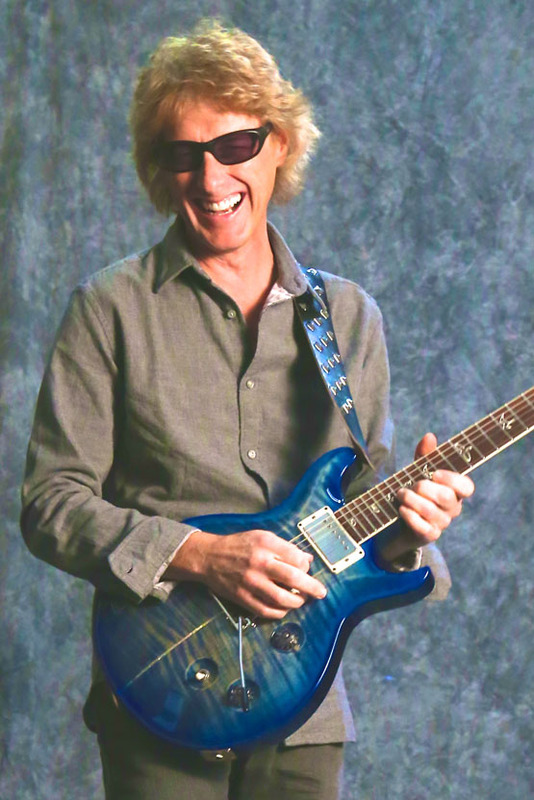 Brett is a guitarist and music industry professional who works as a musician, teacher, composer, lyricist, and producer. 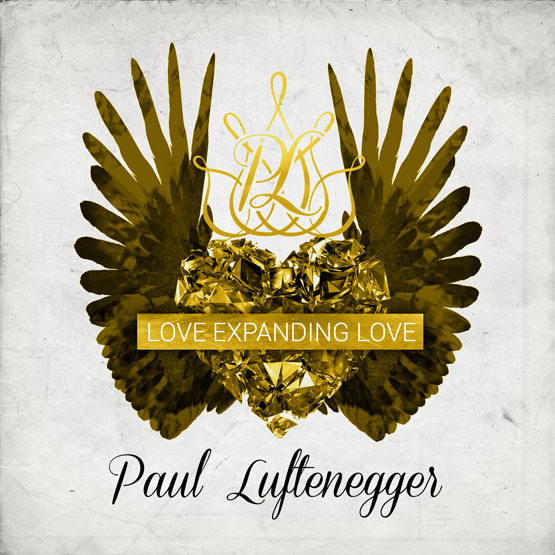 He has collaborated with a wide range of artists in genres from rock to pop to electronic and world music. To hear the podcast recording of this week's show, with Brett Boyd as my guest, please click here. 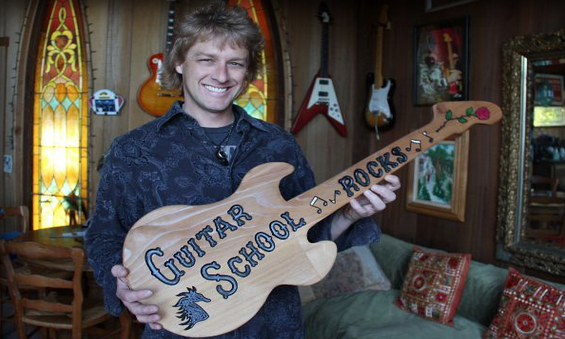 Since 2006, Brett has been living in the San Francisco Bay Area with his wife and two boys, teaching at his music school Guitar School Rocks, and making music in a number of projects including the new band The Marinfidels. 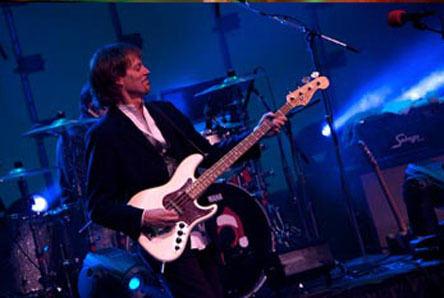 Brett Boyd performing with The Marinfidels. Click on the photo for more information. 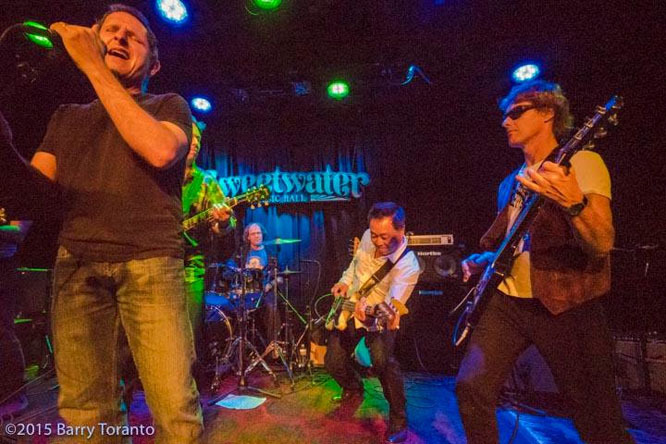 Before settling in Marin County, Brett lived in Japan for over ten years where he worked for EMI Music Publishing and Virgin Music Japan and later became an independent artist writing, recording, and performing original music with his band The Beautiful Losers as well as a number of Japanese artists including the very popular punk band Hi-Standard. He is credited on over a million CD sales world-wide, and his music has been featured on MTV dramas and commercials by Disney and Toyota. 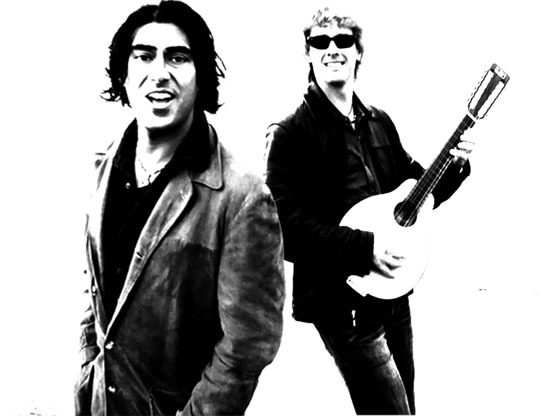 Raj Ramayya and Brett Boyd - The Beautiful Losers. 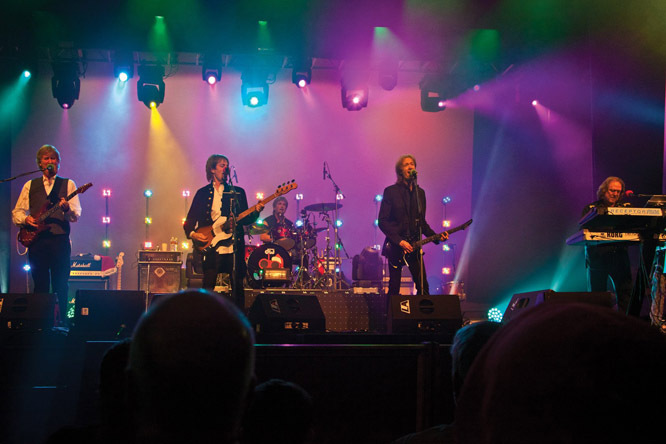 As a guitarist, Brett has performed on stages and in studios in the Untited States, Canada, Asia, and Europe and has shared the bill with notable artists like Coldplay, Indigo Girls, and Matt Nathanson. 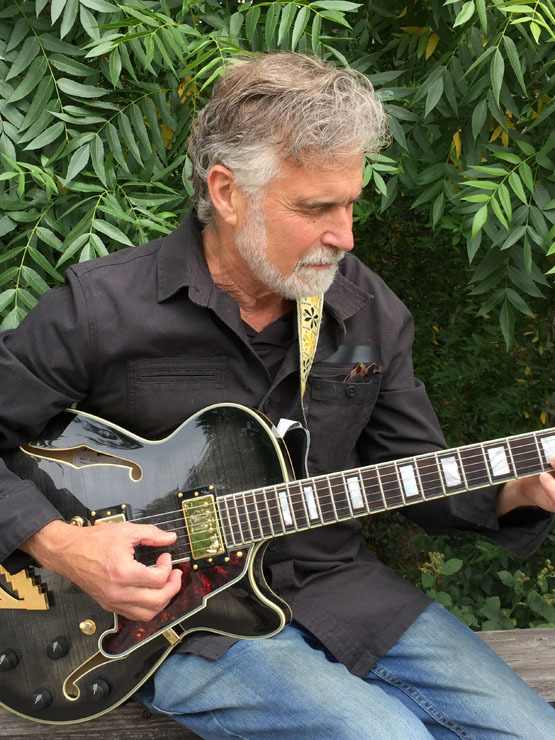 Brett is also involved in organizing and performing for benefit events to raise awareness and funds for organizations like Doctors Without Borders, Amnesty International, Harmonic Humanity, and Nepal Freed. 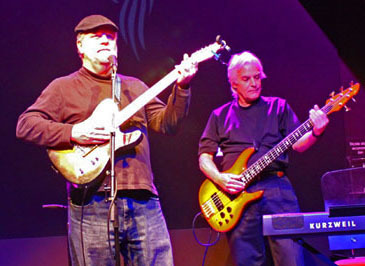 The Marinfidels are performing at Fenix in San Rafael, CA the third Wednesday of the month. 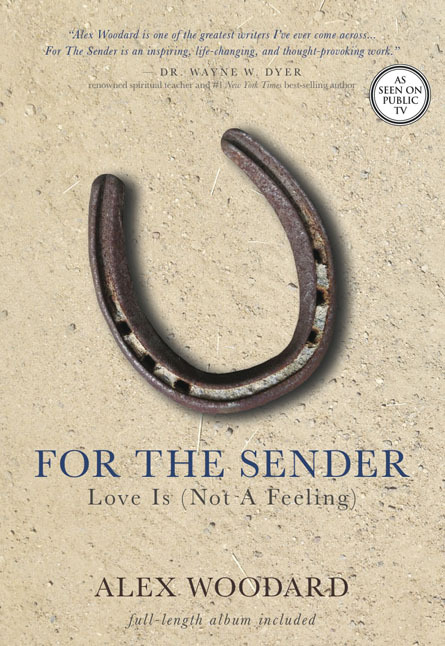 During the show I played a beautiful song titled Here In Our Dreams which was written and performed by Brett Boyd and Raj Ramayya and it's on their third Beautiful Losers CD. Brett and Raj wrote the song several years ago but it proves that great music is timeless. Brett Boyd is a wonderful example of what can happen when you listen to your heart and have the courage to live your music. As Brett said, it's not always easy but the joy you feel – and can give to others – makes it well worthwhile to live the music you hear calling you. Brett is also an example of how you can have a family, enjoy time with your family, and blend in plenty of time to enjoy playing music. 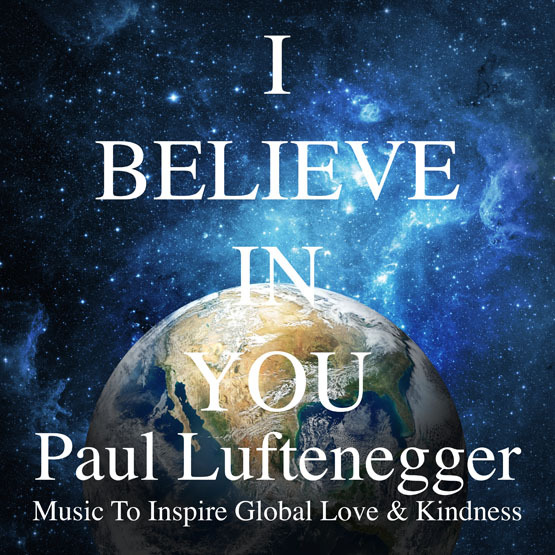 If you'd like to hear replays of any of my 100+ shows you can listen to online podcast replays of Live Your Music by clicking here. 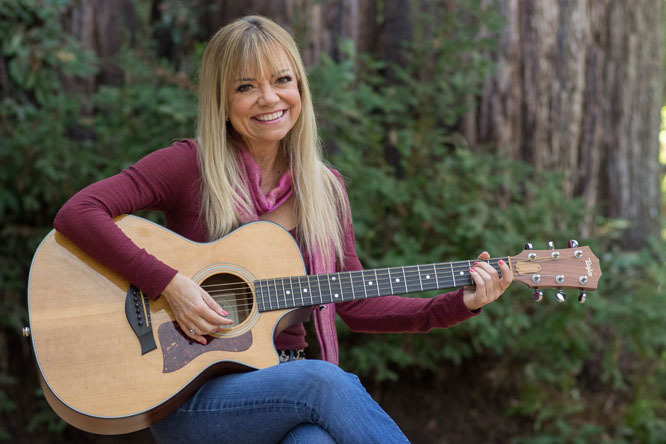 My guest for Live Your Music this week was Maryellen Smith. 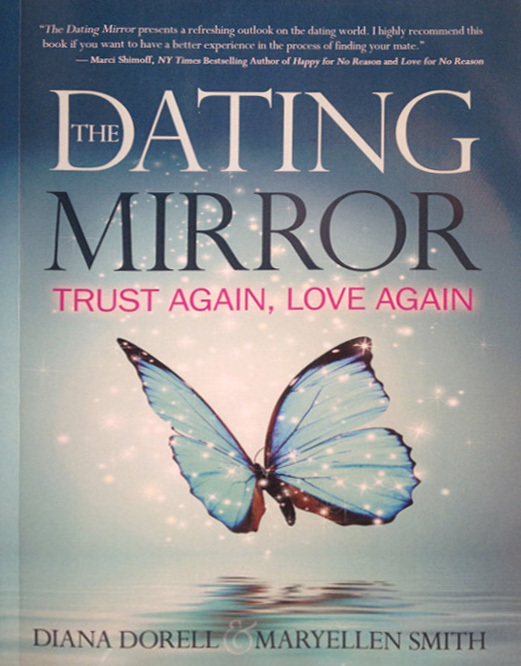 Maryellen Smith is a co-author of The Dating Mirror… Trust Again, Love Again. To hear the podcast recording of this week's show, with Maryellen Smith as my guest, please click here. 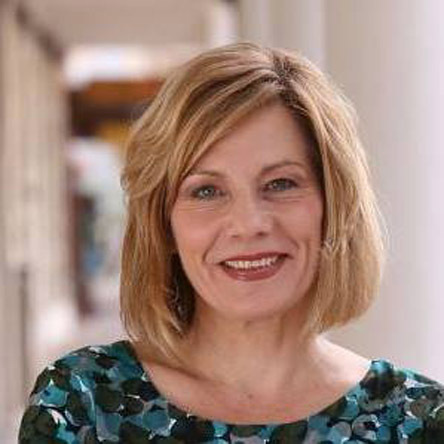 Maryellen Smith, the co-author of a new book titled The Dating Mirror… Trust Again, Love Again, is a small business marketing and branding specialist. She’s also an author of both non-fiction and fiction books and a mixed media artist. 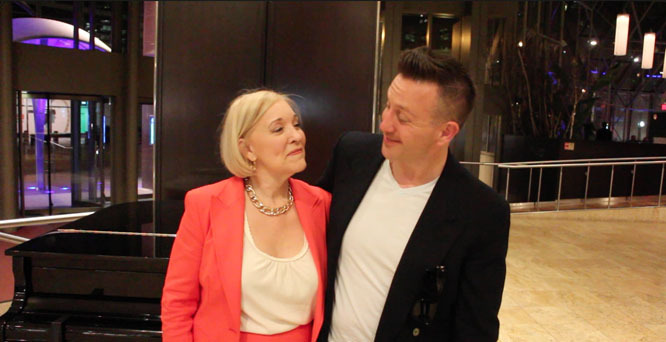 Maryellen is passionate about reinvention and at the heart of reinvention is storytelling. 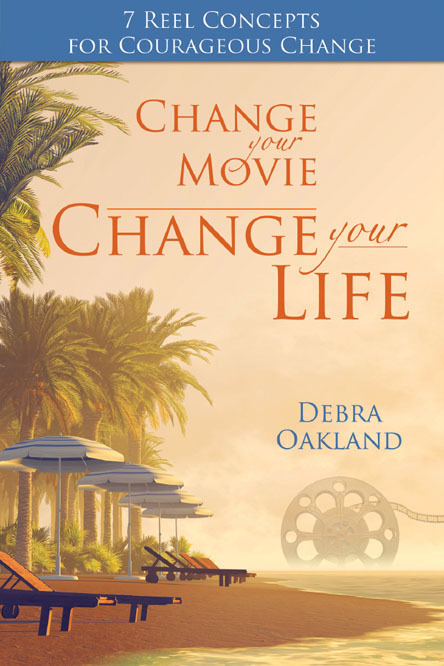 How you tell and re-tell your stories has a direct outcome on the quality of your life. 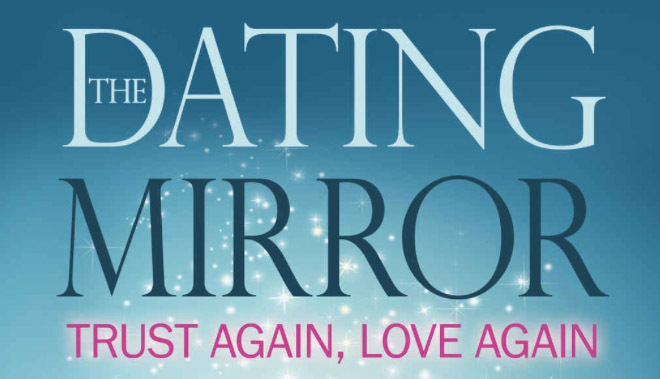 Click here, or on the book cover, to get The Dating Mirror at Amazon. Today we talked about about how to use your intuition for dating, how your intuition can help you know when you are dating the wrong person, and also how it can help you know when you're dating the right person! We also talked about how you can tell a new story about your life and create new and wonderful outcomes. Dating can be a really frustrating thing or it can be a way to practice using your intuition to guide you. It really does depend greatly on how you choose to word the stories you tell about your life. 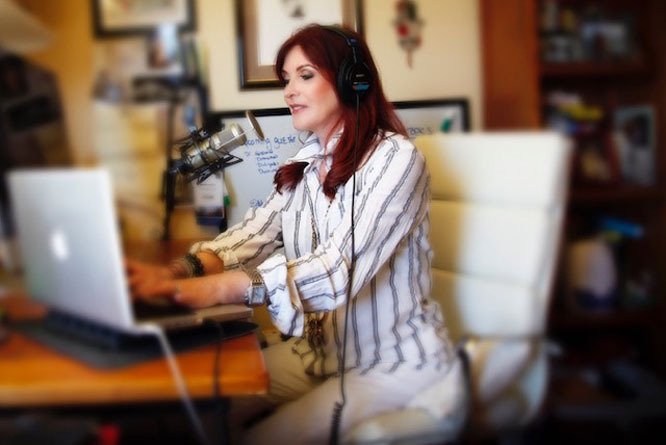 If you know anyone who would benefit from learning how to use their intuition for dating, please share this eNewsletter with them so they can hear the show! You can get in touch with Maryellen Smith, and her co-author Diana Dorell, on Facebook@TheDatingMirror. I've done over 100 shows!!! 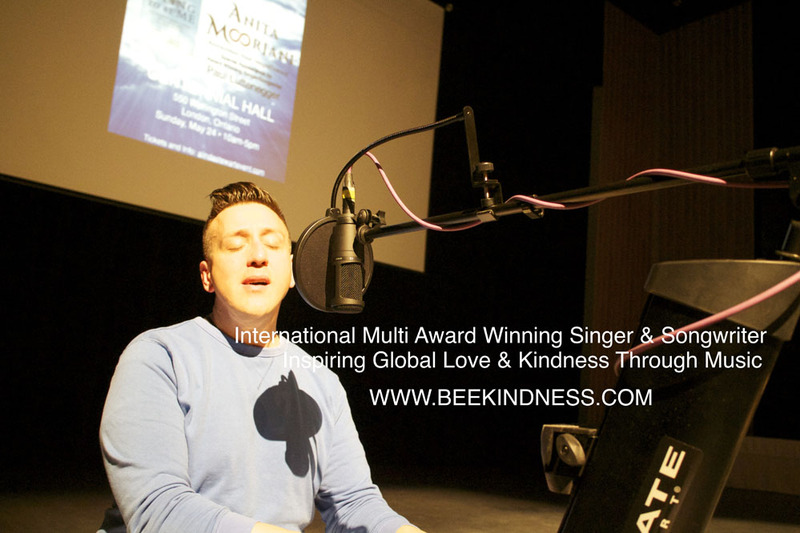 If you'd like to hear replays of any of my shows you can listen to online podcast replays of Live Your Music by clicking here. 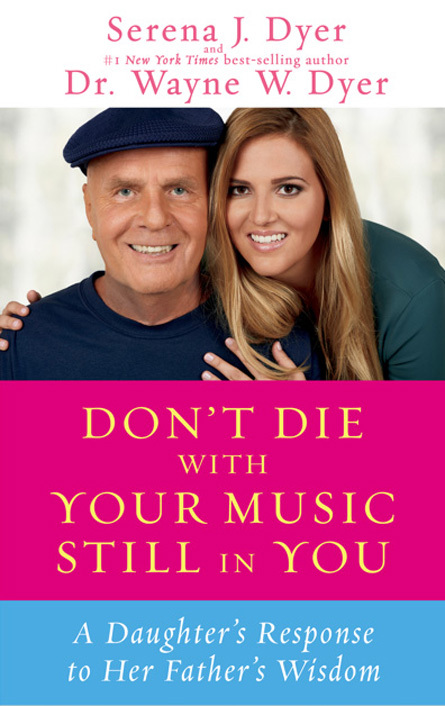 Live Your Music – Remembering Wayne Dyer was the show for this week. 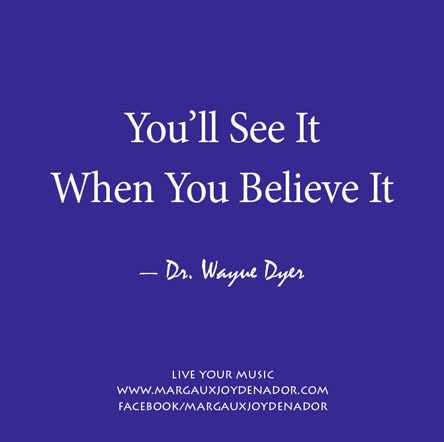 It was recorded live today to celebrate Wayne Dyer on what would have been his 76th Birthday. 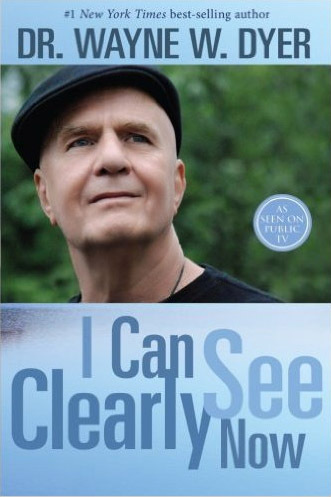 To hear the podcast recording of this week's show, Remembering Wayne Dyer, please click here. 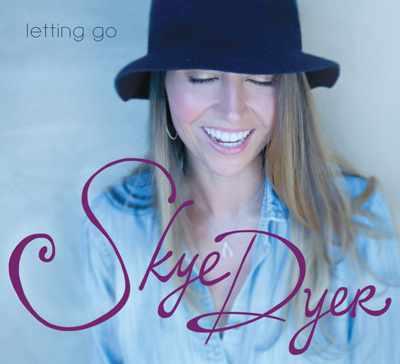 During the show I played Skye Dyer's beautiful song You Inspire Me. Skye wrote it for her Dad and it is one of his favorites. We love it too! Skye's voice sounds beautiful and she is one of the kindest and most loving Earth Angels I've ever known. We also talked about Serena Dyer and her inspiring book Don't Die with Your Music Still in You. I am so glad to have her book and and I highly recommend it! 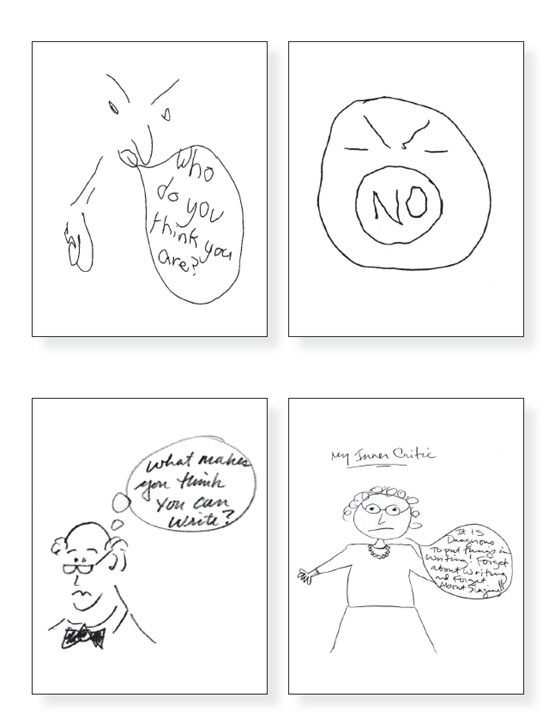 Serena is a great storyteller and you'll feel like she's talking to you as you read her inspiring book. 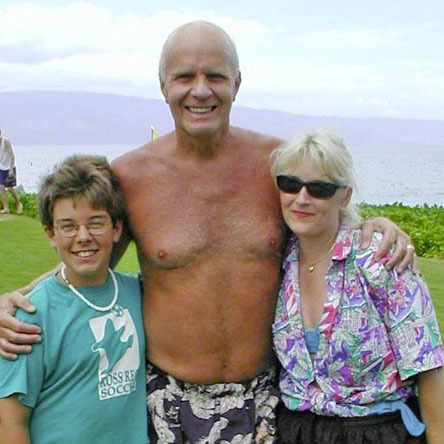 As promised, we told the story that goes with pictures of us with Wayne Dyer at Book Passage in Corte Madera, California right before 09/11/01 and the story of us seeing Wayne Dyer on Maui in 2002. 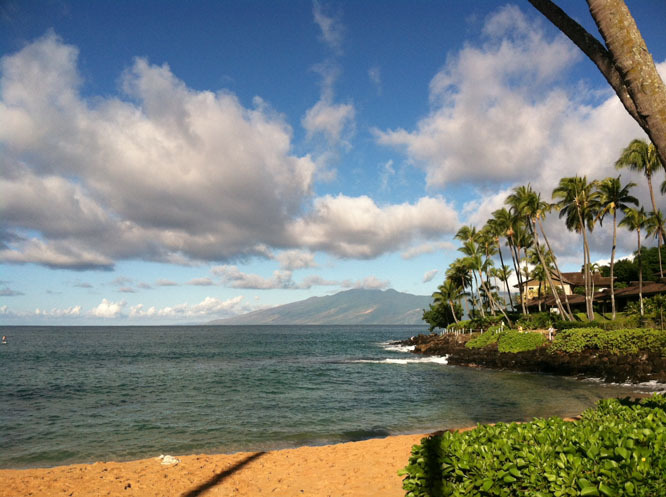 Remembering Wayne Dyer and our Maui picture story. 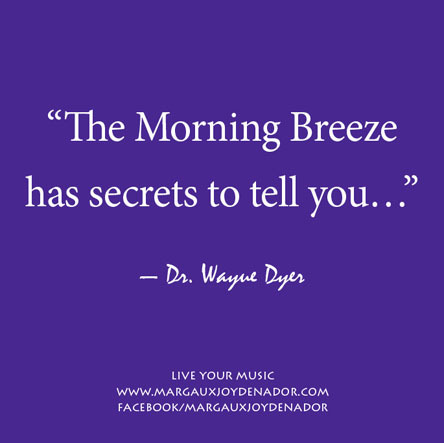 As Dudley and I said during the show, we are so thankful that we listened to Wayne Dyer's audio program of his book titled What Do You Really Want for Your Children? 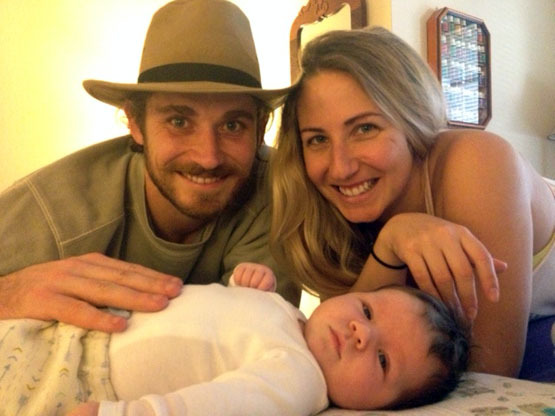 because he helped us have the wonderful experience we've had as parents and his inspiring advice about raising children helped us raise our incredible son. The Dyer family is an example of what can happen when your children are surrounded by love and are encouraged to be both thankful and kind. Having spent time with Wayne Dyer and his daughters I can tell you that they are happy, thankful, creative, and kind. 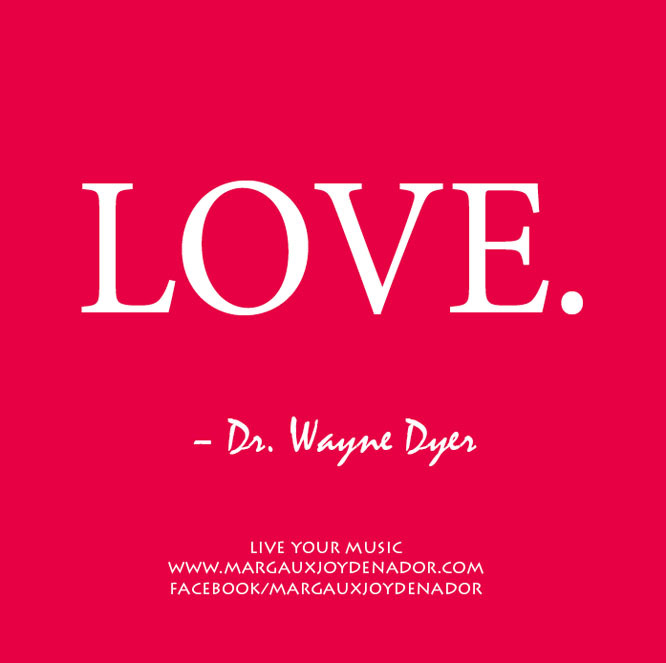 They are as Wayne Dyer was – a joy to know and they are full of love and light. We'd love for you to listen to the show and share it with your family and friends. 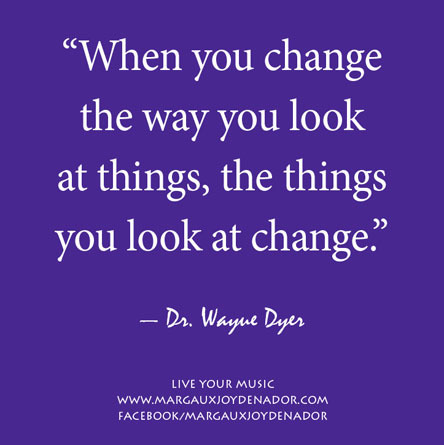 As Dr. Dyer said so often, "When you change the way you look at things, the things you look at change." and LOVE. 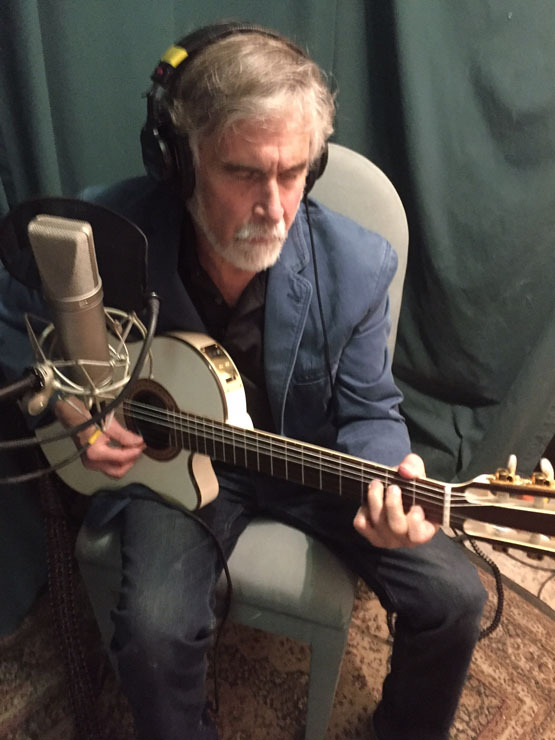 If you'd like to hear replays of my shows, you can listen to online podcast replays of Live Your Music by clicking here. PS: My book, The Art of Living a Life You Love, which I mentioned during the show today, can help you feel happier, live your music, and love the life you're living. 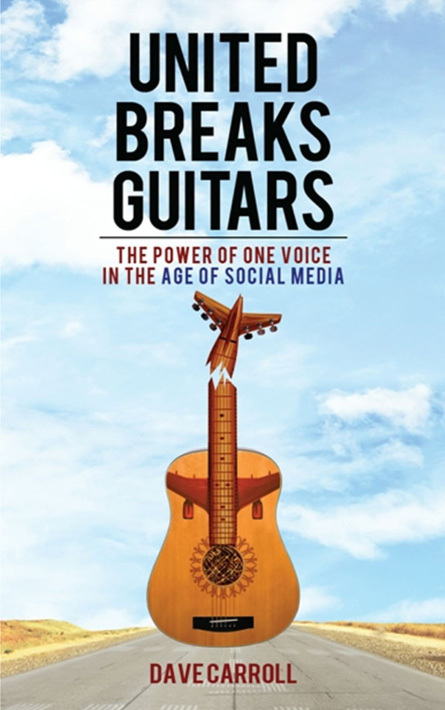 You can download the first chapter of my book from my website by clicking here. 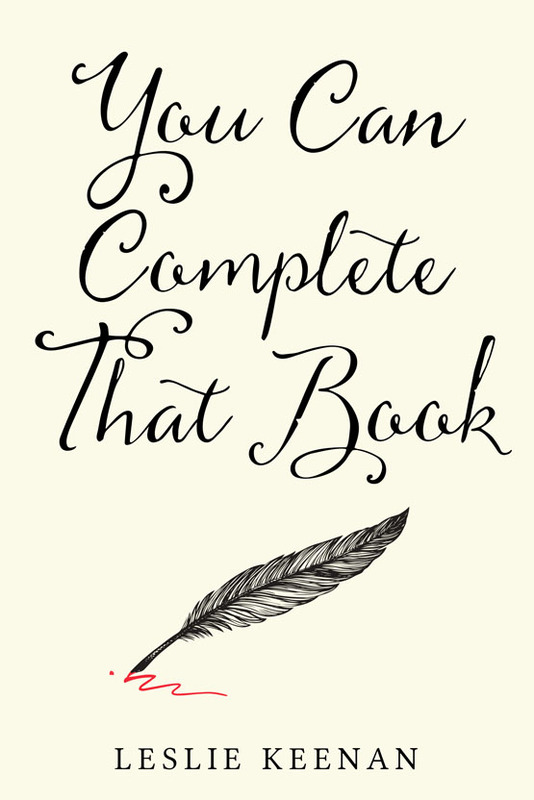 You can order my book online at either Amazon.com or Barnes & Noble. My guest for Live Your Music this week was Maria Carbonell. Maria is an aromatherapist, energy healer, herbalist, Ayurvedic practitioner/educator and an Intuitive Life Coach. To hear the podcast recording of this week's show, with Maria Carbonell as my guest, please click here. Maria acts as a compassionate guide to help women find the root cause of where they may be out of alignment, return to the memory of who they are, redefine their path and purpose, heal from loss, and re-ignite their passion through a self-discovery process guided by the ancient wisdom traditions and specific programs she has created called The Discomfort Cure and 5-Senses Pleasure Healing. 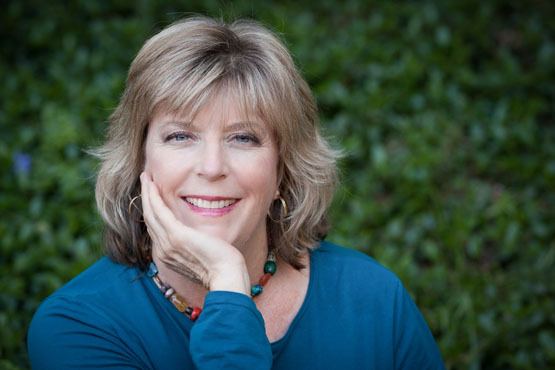 Maria lives in Ojai, California where she hosts the Lit Up Life Soul Summit, offers personalized Rasayana Nature Retreats and offers her Life and Soul Coaching for women around the world. 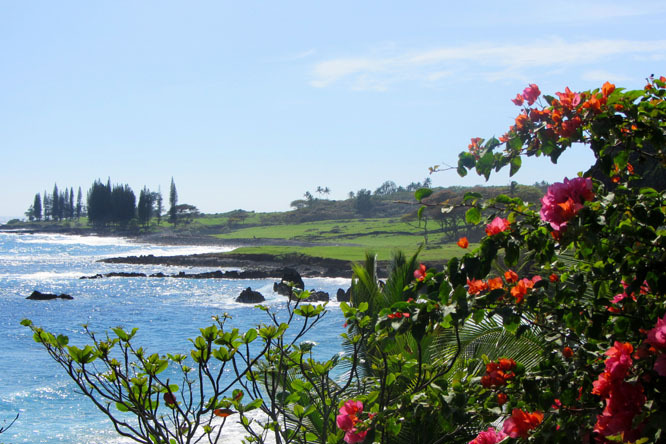 Maria is co-hosting a retreat Ayurveda & Soul Rejuvenation Retreat in Avila, California, May 8-11, 2016, and has international retreats planned in 2017 that are yet to be announced. Today we talked about the various ways that Maria is living her music. She is living a "Lit Up Life" and by example she is helping women to light up their lives. Maria shared her passion for Ayurveda (the balance of life with harmony of mind, body and spirit). She also spoke of health, healing, beauty, and women's transformations during the show. 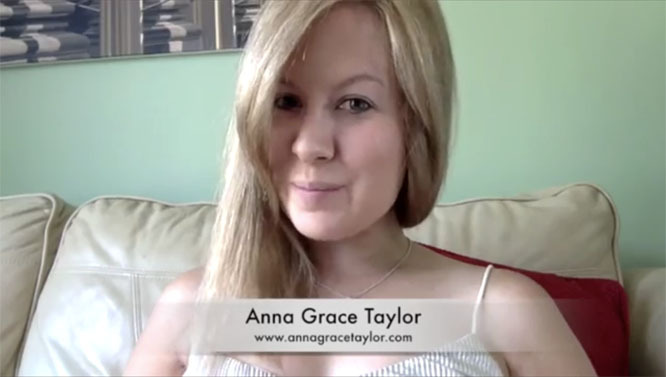 We also talked about her inspiring interviews with Skye Dyer and Serena Dyer Pisoni during her Lit Up Life Soul Summit. I am glad to have met Maria, after listening to her online summit, and enjoyed having her on my show today. I loved hearing what Maria had to say about Sama and Ayurveda. I feel certain you'll enjoy hearing what Maria had to say during this interview. If you feel inspired to do it, we'd appreciate you sharing this interview with your family and friends! If you've missed any of my shows, you can listen to online podcast replays of Live Your Music by clicking here. 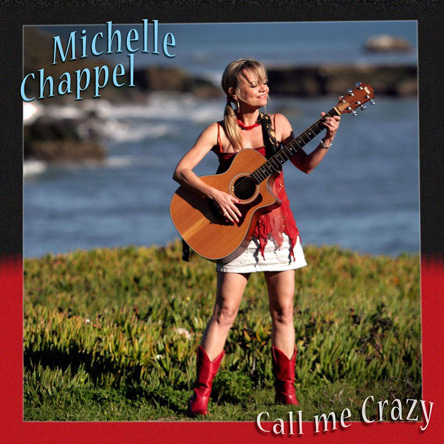 My guest for Live Your Music this week was Michele Garber. 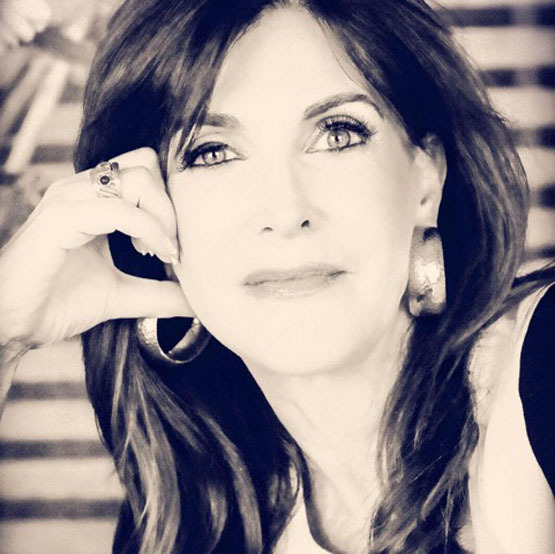 Michele Garber, is a plastic surgery coach and the founder of The NipTuck Coach. She is a leading expert in the plastic surgery and beauty industry, a patient advocate, and is nationally recognized as the “go to” person when considering plastic or cosmetic surgery. To hear the podcast recording of this week's show, with Michele Garber as my guest, please click here. Michele consults with patients from all over the US and Canada. Michele is also a partner with After, After Care of Beverly Hills and provides private post-op concierge services and after care to plastic surgery patients. 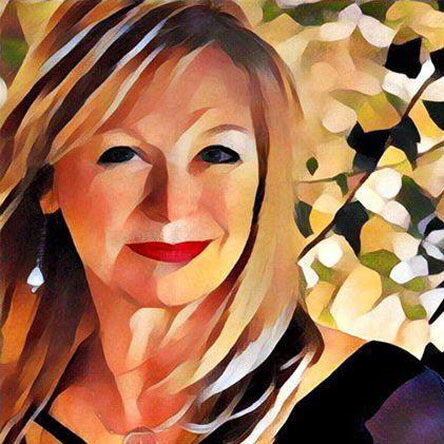 Michele has spent over 20 years as an educator, marketer, media specialist and publicist in the Lifestyle and Beauty Industry. Michele has helped many patients find the right surgeon and has been an advisor to plastic surgeons and skincare manufacturers since 1998. Michele has as a growing social media presence of 22,000 followers and is the editor of Beauty News Talk. 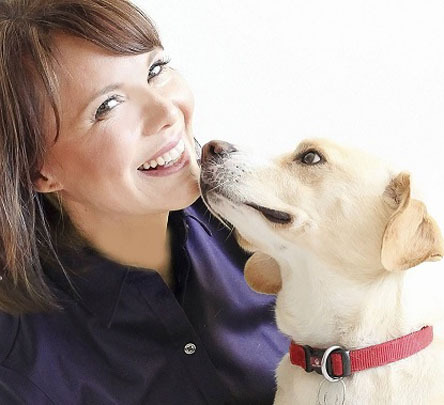 She hosts The Nip/Tuck Talk Show, is a frequent guest blogger, contributor to Deep Body and contributes articles for Med-Aesthetics Magazine and About.com-Senior Living. 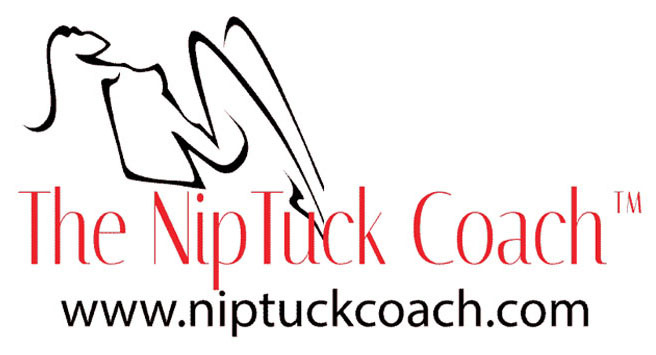 Michele has published an E-Book for consumer safety, Safety First, 10 Golden Rules for Safe Cosmetic Surgery, available on her website at www.niptuckcoach.com and is currently working on a series of consumer plastic surgery resources. 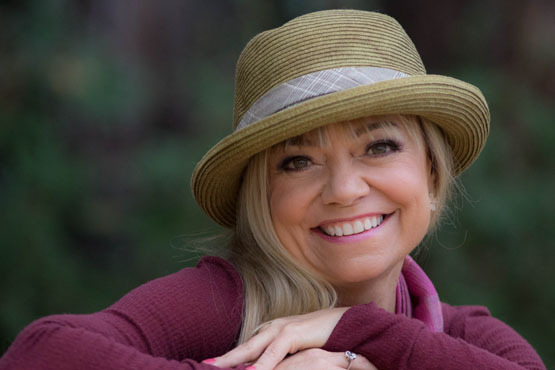 Michele has appeared on ITV-UK with Dr. Hillary Jones, ABC News, Michael Finney Show KGO Radio, and has been featured in San Francisco Chronicle and Big Medicine Magazine. She is a frequent lecturer at medical meetings and plastic surgery symposiums. 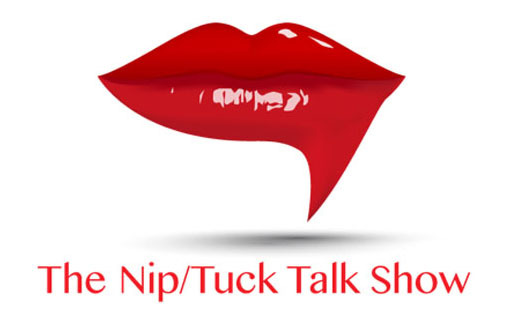 Today we talked about how Michele is living her music by being The NipTuck Coach and as the host and producer of The Nip/Tuck Talk Show. We also talked about why we feel it is important to live the *music* you hear calling you and that there can be a combination of ways you do it. Each part of what you feel *called* to do is a clue as to what you are meant to do to enjoy your life and make the world a better place because you have decided to live your music. If you feel inspired to do it, I'd appreciate you sharing this interview with your family and friends! 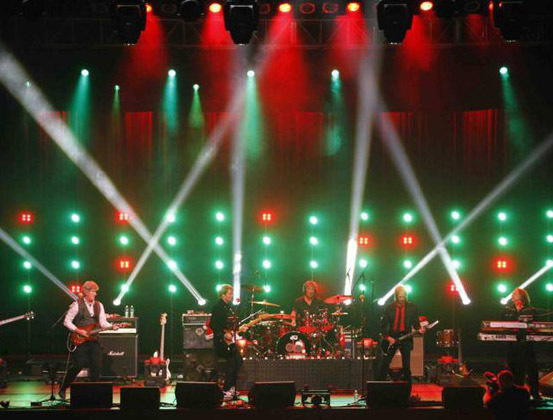 Robert Berry was my guest for Live Your Music this week. 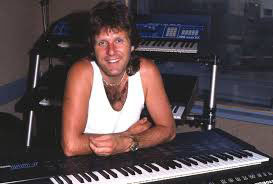 Robert Berry Remembering Keith Emerson is the title of this week's show. Whether you knew Keith or Emerson, Lake & Palmer, I'd love for you to hear what Robert has to say during this show. To hear the podcast recording of this week's show, with Robert Berry as my guest, please click here. with Robert Berry Remembering Keith Emerson. 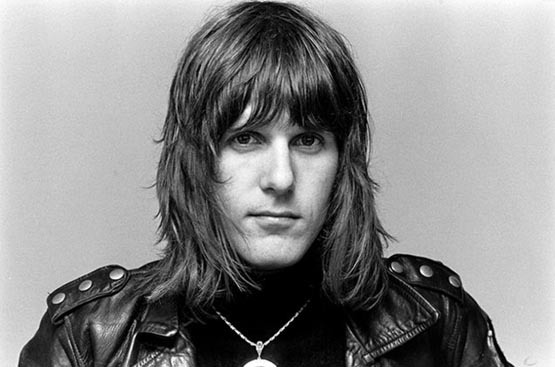 The show focuses on Robert's memories of getting a call from Carl Palmer, going to England, and how excited he was to meet Keith Emerson for the first time. Robert also talked about what Keith was like, what it was like to record an album with him, perform with him, and what he was like as a person and a long-time friend. 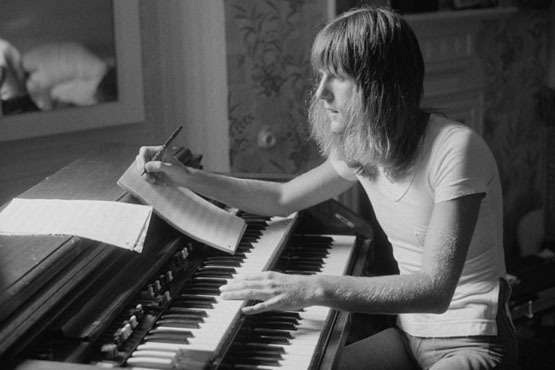 Keith Emerson was best known as the awesome keyboard player of the progressive rock group Emerson, Lake & Palmer. You may remember famous songs such as Lucky Man, Fanfare for the Common Man, Hoedown or Welcome Back My Friends to the Show that Never Ends. 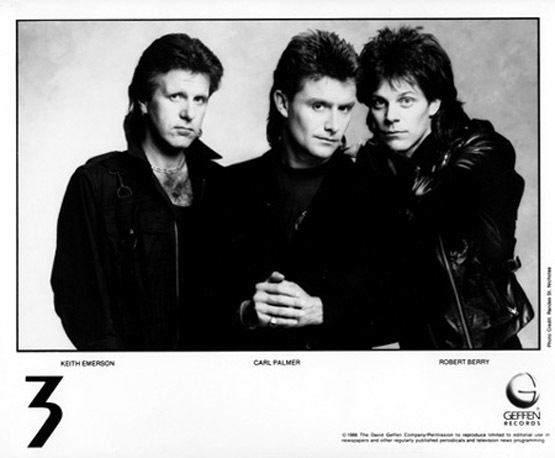 This incredible trio had a unique, complex, symphonic quality largely due Keith Emerson who is still regarded as one of the most talented rock keyboard players of all time. However, during the last part of the 80's he was in a band called "3" with Robert Berry, which was also known as Emerson, Berry, Palmer. 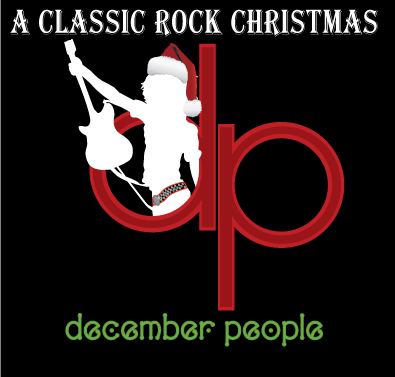 I love their album To The Power of Three and the live album from a show in 1988 which came out last year. Following are some photos of Keith from the early days and a more recent picture of him as well. I loved hearing what Robert had to say about Keith. 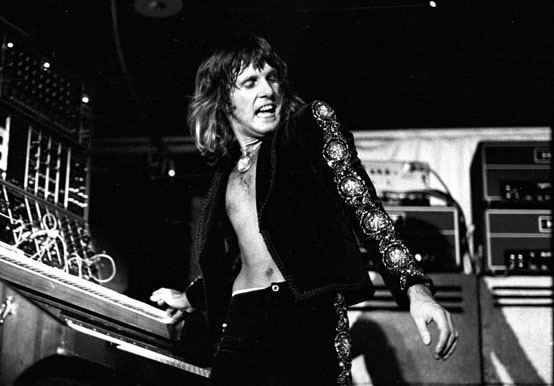 I've admired Keith Emerson as an amazing keyboard player for many years and loved hearing Robert talk about what Keith was like and what is was like to play with him and Carl Palmer. 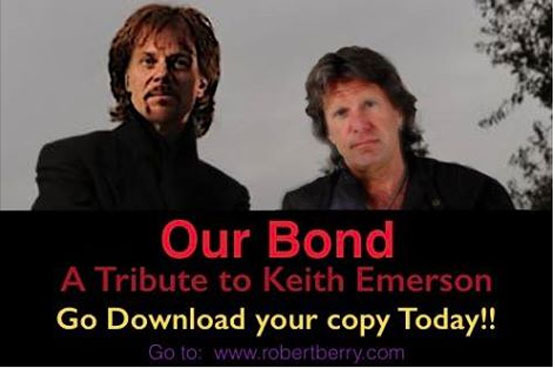 During the show I played a beautiful new song titled OUR BOND which is a song Robert wrote as a tribute to Keith Emerson. 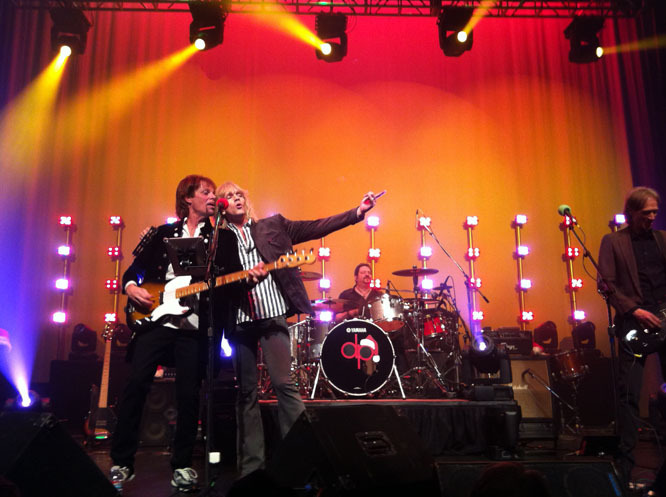 When you listen to the show, you'll also hear Robert tell fun stories of what it was like to perform with Keith and have him as a long-time friend. You can download the song OUR BOND on Robert's website and you can also watch the great video of the song on YouTube with this link. 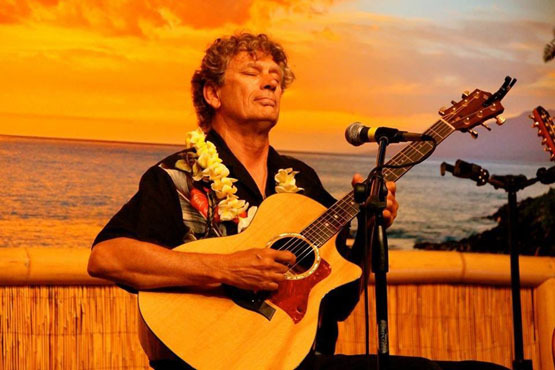 Robert Berry is a Grammy nominated recording artist, singer, songwriter, producer, and performing musician. 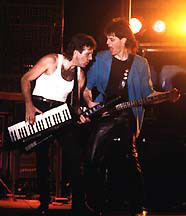 He was featured on an album titled "3" with Keith Emerson & Carl Palmer; he has toured with Ambrosia; and has a long running project - Alliance - with members of Boston, Sammy Hagar, Night Ranger, and has also performed with The Tubes, Greg Kihn and has a wonderful holiday rock group called December People. 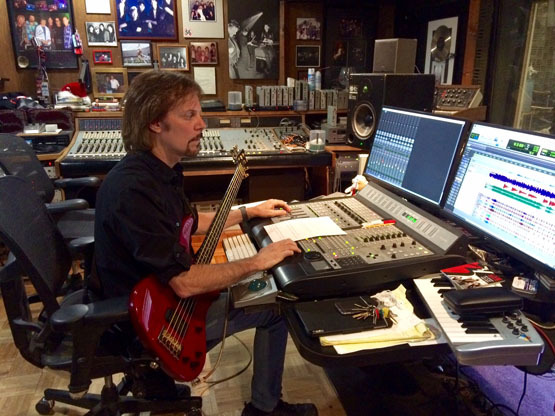 Robert is also the owner of Soundtek Studios in Campbell, California. I hope you'll take time to listen to the show. If you feel inspired to do it, I'd appreciate you sharing this interview with your family and friends! PS: My book, The Art of Living a Life You Love, can help you live your music and live a life you love. 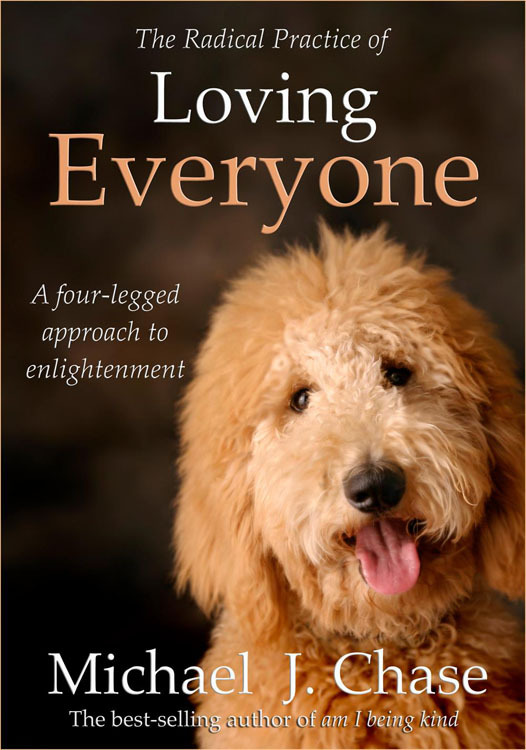 You can download the first chapter of my book from my website by clicking here. You can order my book online at either Amazon.com or Barnes & Noble.